In the 1972 classic movie The Cowboys, John Wayne's character had to use schoolboys for a cattle drive. They were unhappy being awakened in the 3 AM darkness, especially since their circadian rhythms were not accustomed to such activity. Well, our inner clocks are none too fond of other disruptions, such as jet lag, adjusting to and from Daylight Savings Time, and unusual work shifts. People often have to use various remedies (such as melatonin) to adjust. These circadian rhythms are not just in us big folks. They are in all kinds of organisms, all the way down to the genetic level. Such clocks are essential for survival, and are impossible for evolution to explain. It is, however, to reasonably conclude that these important and widespread mechanisms were designed for us by our Creator. Life could not exist without organisms’ engineered ability to keep track of time on a 24-hour day-night cycle called a circadian rhythm. Even sophisticated electronic machines such as computers or microcontrollers have a central clock or an oscillator. This critical design feature must be in place for complex systems to work on a schedule, interface with other system components, and interact with the environment. The circadian clocks in plants and animals are far more advanced than those in man-made systems. These living clocks regulate many aspects of genetics, metabolism, physiology, growth, and behavior in numerous types of cells and tissues throughout the entire organism. In fact, animals typically have not only a centralized circadian clock in their brain but also many peripheral clocks in different tissues and organs. 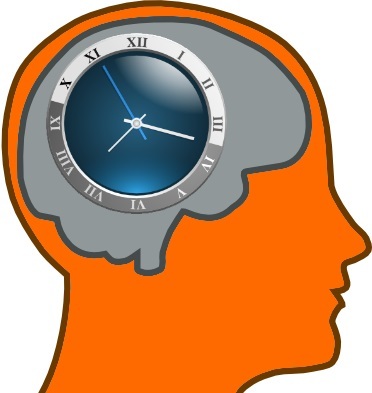 These peripheral clocks regulate temporal and spatial organization and physiology in whatever cell, tissue, or organ they are located, and they also keep systems in sync with the central clock in the brain. Clearly, a complex cellular communication network connects tissues and body parts within a time-based context—a phenomenon that still isn’t fully understood. The rest of this article should take too much of your time, just click on "Circadian Clocks, Genes, and Rhythm".